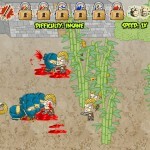 War Strategy Action Upgrade Belugerin Studios Click to find more games like this. 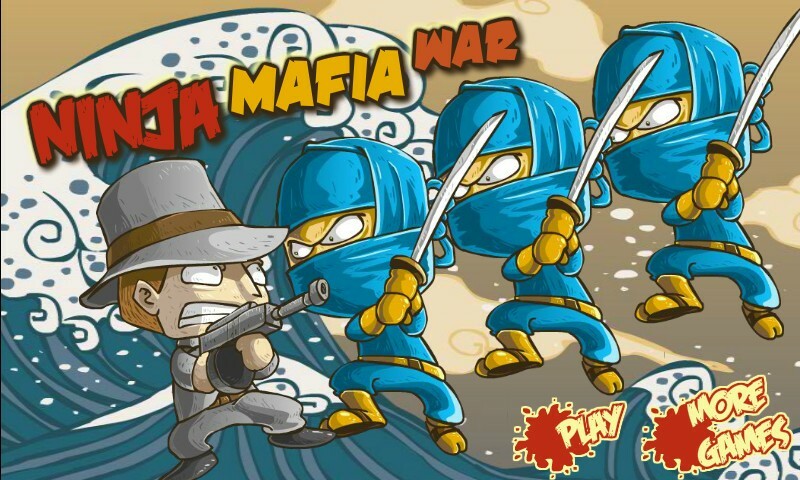 Fight the mafia and show them the consequences of attacking the ninjas! 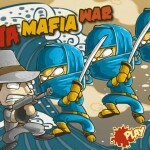 Build a strategy and battle it out with the gun-wielding mafias in this epic tug-of-war strategy game! 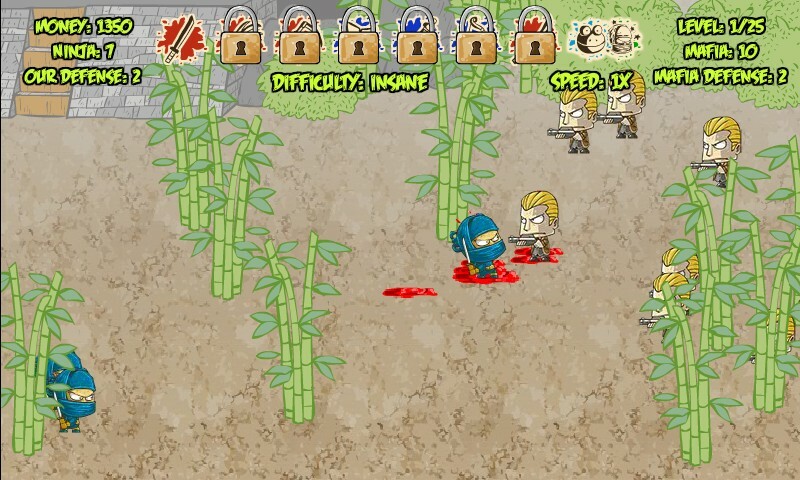 Pick your ninjas and place them across the map and they will automatically attack the base of the mafia while killing everyone on the way. 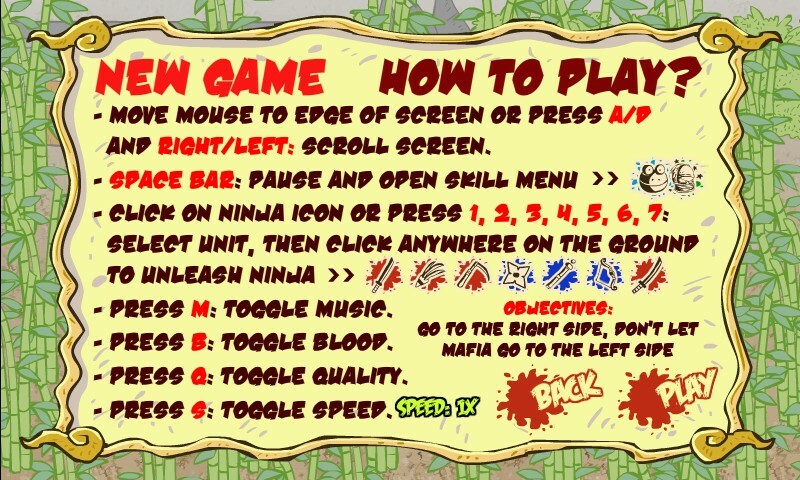 Use your MOUSE to place your ninjas on the battlefield and to select different ninjutsus to use against your foes. 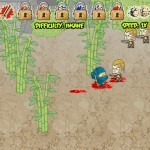 Do not forget to upgrade your ninjas and their weapons to help them fight longer and kill faster. 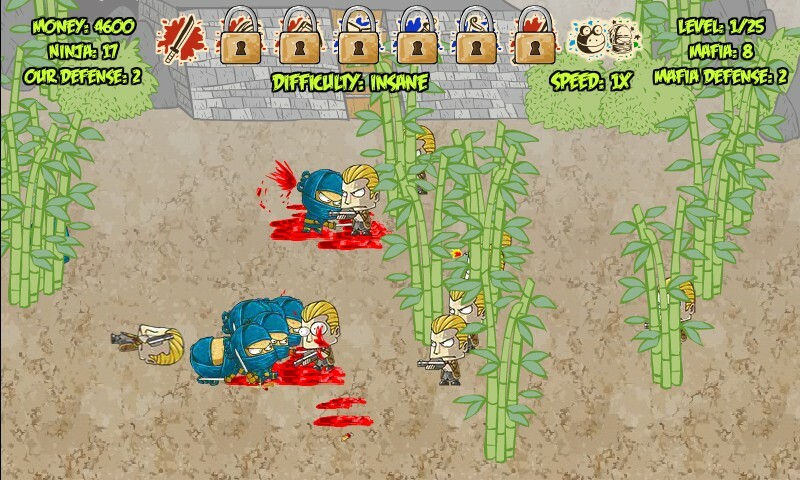 Show them that ninjas are still the best assassins of all time! Game on!